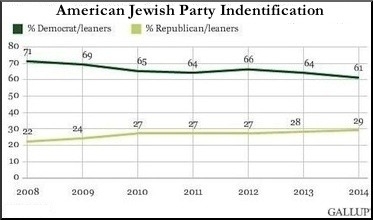 Traditionally liberal, American Jews are becoming steadily more conservative. I've always considered it self-evident that Judaism is most at home with conservatism, both as a worldview and as a modern political movement. Conservatives value tradition as a time-tested repository of human experience. To me, all this sounds pretty compatible with Judaism. The normative Jewish political tradition, as outlined by the ancient rabbis in the Talmud, warns against anarchy and chaos, but also against excessive trust in government; stresses that deeds are more consequential than theory, and that the fulfillment of God's teaching is inextricably entwined with the duty to take care of earthly fundamentals; posits tradition as non-negotiable and yet is ready to amend and adapt many parts of the Torah for pragmatic reasons; and, while never relinquishing the Jewish people's right to the land of Israel, takes into account the role of what we would now call international law. In many countries, Jews did eventually turn leftward—but often less as a matter of choice than in response to Gentile attitudes and conduct: parties of the right were less welcoming than parties of the left. Dire economic conditions also rendered the growing Jewish proletariat susceptible to the lure of socialist utopianism. Later, as Jews began to climb socially through access to the professions, many tended to adopt modernist or "progressive" attitudes. The rise of Nazism, followed by World War II and the Holocaust, solidified the Jewish attachment to liberal democracy, further confirmed by the birth of Israel in 1948. But the left moment in Jewish history could not last. Global prosperity gradually extinguished most Jewish poverty in the West, and with it much Jewish social utopianism. Communism, in the form mainly of the Soviet Union, proved radically inhospitable to Jews and implacably opposed to Israel. Eventually, social democrats and liberals would also distance themselves from Zionism, Israel, and even the Jews, dealing a further blow to previous generations' illusions. The majority of Jews in Israel, France, and Britain vote for conservative parties. As of today, the majority of Jews in Israel, France, and Britain vote for conservative parties. Even in the U.S., a conservative minority has been growing in numbers and influence. Although two out of three American Jews still define themselves as liberals rather than conservatives, and tend to support, no matter what, the Democrats over the Republicans, there are signs that things may be changing even in this respect. When it comes to Israel's survival and security, everyone knows that Republicans are now the friendlier of America's two parties. The moment, in other words, is ripe for an infusion of "the spirit of Jewish conservatism"—perhaps even riper than Eric Cohen imagines. What does it signify, after all, when a conservative Israeli prime minister is invited repeatedly to address the U.S. Congress on the most vital issues affecting both the Jewish state and the entire democratic West, and is received with overflowing warmth and applause? The answer is blowing in the wind.